We carefully select the olive leaves used in our Olive Leaf capsules to ensure only the highest quality formulation. While the benefits of olive fruit and oil is well known, the humble olive leaf also contains a whole host of anti-inflammatory and antioxidant properties, whilst being a potent source of oleuropein, which helps maintain normal blood pressure and protect the body from oxidative stress. 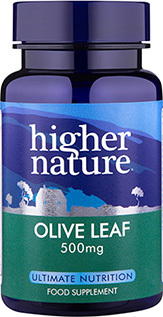 We gently process our olive leaves to preserve their powerful nutrients and provide body-boosting benefits. 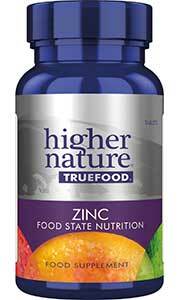 Take 1-2 capsules up to 4 times a day, 30 minutes before or 2 hours after meals, building gradually. For best results drink 1-2 litres of water during the day. Olive leaf has a detoxifying effect on the body. Reduce intake if detox symptoms are uncomfortable. This is a product that I use for its antiviral properties in the prevention of herpes. It is very effective and I have its on standing order. A real cold and flu cure! I was really sceptical when first introduced to this product. However, five years on and the most cold or flu symptoms I've suffered is the one day I first feel I'm coming down with something! Considering how many times before this I ended up with bronchitis or sinusitis and then needing antibiotics after a cold or flu bout this is the nearest thing I've found to a "magic bullet" it should be available on the NHS it would save them a fortune! I use Olive Leaf in combination with Immune+ whenever I feel like I'm coming down with something (alternating the two products every few hours). 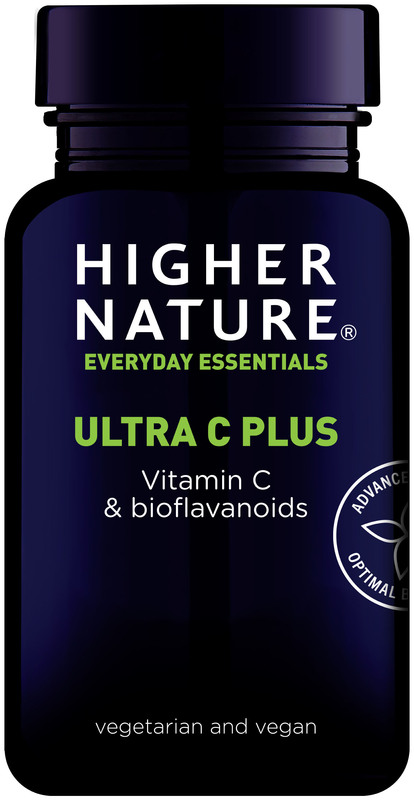 I am happy to say that they work a charm in reducing the longevity of colds and flu - definitely wouldn't be without them! Can't get through without this! I really dread the thought of running out of stock of this product! Yes there may be cheaper versions on the market, but they simply don't do what this one does, in my experience. Cured me of a chronic stomach bug that antibiotics didn't touch, nor did countless natural 'cures'. I take it all the time as a prevention against bacteria/viruses, and feel so much better in myself for it, with other health problems that I have. If I ever do catch something, I put the dose up, and it's usually quickly dealt with. Excellent product! I couldn't do without this product! Excellent product which I dread the thought of ever being out of stock of! Cured me of an awful gut infection, which, despite several strong courses of antibiotics, and countless alternative therapies, nothing did much to help for about a year. Until I tried a very high dose of these olive leaf capsules. Eureka, is all I can say - this worked when all else had failed! I continue to take this as a preventative against anything bacterial/viral, and I feel much better with other health problems whilst taking it also... amazing stuff, in my experience. I always keep a pot of Olive Leaf in the cupboard. Expensive but worth it! I have a suppressed immune system and olive leaf really helps me overcome virus' and infections like nothing else. I take a high dose if the symptoms are acute and reduce down gradually, but be aware that you can suffer die off (often experienced as bad fatigue) as your body kills the infection. I used to buy it in liquid form but this is much easier to take. In 1998 I contracted acute systemic toxoplasmosis while travelling, a condition which dogged me for 6 years until a friend put me onto this product. Not only did it assist me in overcoming the parasite but I use it whenever I feel a cold coming on. Never fails to diminish the viral load! After several bouts of pneumonia followed by other chest infections the doctor wanted me to go on antibiotics all the time. No thanks. Now if I ever feel ill I have olive leaf and have had no antibiotics for few years now. This product has really helped my ME! 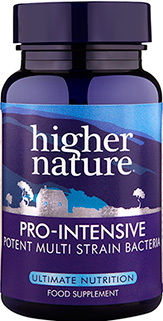 This product has really made a difference to me and would advise to anyone suffering from ME. It seems there is some scepticism out there as to the science behind supplementing with live bacteria. Our experts comment on the debate. Allergies - Zing into Spring! Spring, a time of new beginnings, is when we finally see the end of the cold dark winter and look forward to long hot summer days. Whilst most people welcome warmer weather, for others spring means the start of the allergy season. According to the British Allergy Foundation, approximately one in four of the UK population will suffer from an allergy at some point in their lives, and the number of people affected is increasing by 5% each year. Growing and nurturing a new life is an exciting time but one that places extra demands on the mother’s body. The importance of taking folic acid is well-known, but your requirements for many other nutrients also heightens during pregnancy.